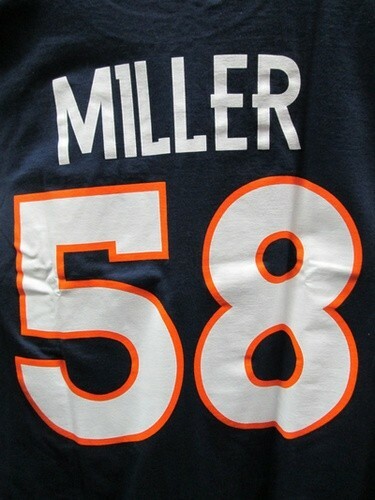 Denver Broncos Von Miller name/number t-shirt. Multiple sizes available. Available in orange as well.